In terms of success only Vega Sicilia of Ribera del Duero can measure up with Pesquera of Alejandro Fernandez. Fernandez produces wines with a rich and exceptional character for relatively realistic prices, and he is the archetype of a "success story" in modern times. Born in 1932, he quit school at the age of 14 and was brought up in the fields. In his resume therefore is mention of jobs as carpenter, blacksmith and inventor of agricultural machinery used for the processing of the beet fields. Yet he had dreams, along with his wife Esperanza and 4 daughters, of producing wines with international allures. In 1972, his agricultural company in machinery allowed him to obtain a loan, enabling him his first steps in the world of viticulture. 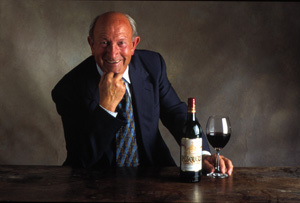 One of his first assistants (and mentor), the oenologist Teofilo Reyes, has a decisive influence on the house style of the wine. This was created by putting more emphasis on the ripeness of the grapes than to mature in a barrel. In a period when the Spanish winemaking was deteriorating and vines were being replaced by beets, Fernandez brings his first wine onto the market in 1975. 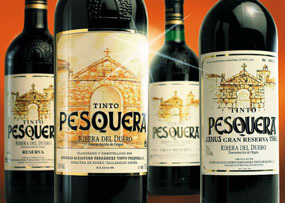 Unlike most Spanish wines who are aged in the cellars and being sold when they reach their maturity, Pesquera’s wines mature in the bottle to the likeliness of the great Bordeaux wines. His wine can be described as very sober ruby-purple color, a lot of fruit, typically wood, remarkable maturity and intensity, with a beautiful structure and many tannines. These characteristics make Pesquera to be regarded as the current measure of the potential of the Spanish wines.